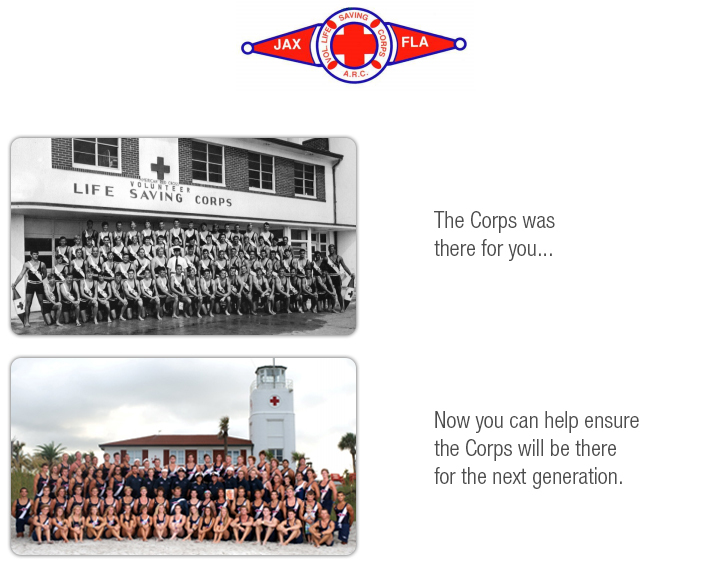 The Volunteer Life Saving Corps was established as a volunteer service to guard the beachgoers of Jacksonville Beach in 1912 and is composed of men and women ranging in ages from 16 to 60. The highly trained lifeguards protect the Jacksonville Beaches on Sundays and holidays throughout the year. The Corps is the oldest volunteer life saving corps in the United States and in their 102 years of service, they have saved the lives of thousands of swimmers. Help the Corps continue their lifesaving work by donating today to the Volunteer Life Saving Corps’ Second Century Fund.